From Robert Moore John; were you at the Warminster skywatch the other day? Did you see the odd light Kevin tells me he saw? Did you witness the stone-throwing? I have been asked by the ASSAP chairman, Dave Wood, for more details. Can you please write up what you saw for us. The first odd light sounds very interesting! What about the odd stone throwing event down at the Cop Heap Barn? What did you see of this?? Any help with this would be appreciated! Forest but found no evidence of this. It may be that the stones that were ejected from what we belive was not very far away would not have been heated- but we dont know because the only expereince we have had with apports are the stones from Rendlesham Forest. Before we made our way up to the Copse at the top of Cradle Hill we saw a chinese lantern travelling from the Warminster area a couple of hundred feet off the ground( approx) this was followed at two or three second intervals by two others. While on the top of Cradle Hill at the Copse Dawn told me she had seen three lights low down in the sky that she first took to be the headlights of vehicles to the left of Battlesbury Hill area, what made this sighting odd was that the lights looked to be much larger that headlights at that distance.Nobody else witnessed the appearance of these 'Lights' a few seconds later the lights appeared closer to the ground before vanishing. Dawn is not certain at this point whether they were observed by any one else, but one should point out that there was a thunderstorm in progress in that general direction which was sheet lightning, flickering with vivid intensity every few seconds some considerable distance away. Colin said he had seen a red light very close to the ground approx 20ft away in the bushes/trees and something moving about but we didnt see anything. the eys can play tricks. here is a crop of that section of tree. On Saturday the 28th of August 2011, we drove down toWiltshire for the annual Warminster Sky watch arranged by friend and fellow UFO enthusiast, Kevin Goodman. the ‘snug’ as we call it up in the West Midlands; this still housed the pool table under the magnificent ceiling painted by Vince whom we had met many years ago. The ramshackle barn at the side of the Barge often home to pigeons, and other horrors imagined inside was gone, there was now a small marque standing in its place.Some people have speculated that the revamped image will frighten away the 'croppies' and new age people, now there has been changes. This is not going to happen judging from the customers, who were already in situ! There is a sign behind the bar advising that they have a zero tolerance towards the use of drugs. We then drove down to St Margaret Court Bradford-on-Avon hoping to speak personally with ex Councillor Terry Chivers, who had been a former member of the now defunct group PROBE, but he had left there two years ago, which was very annoying as Terry had been promising over the last 3 years to furnish us with a photo of his sister Brigitte Chivers who had passed away from Cancer at the age of 23. 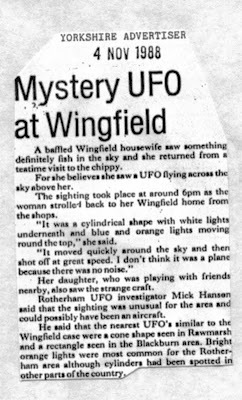 She had been a regular sky watcher at Cradle Hill during the 1970’s and was a member of UFO –INFO formed by Barry Gooding. We then approached Warminster but stopped off to take a photograph of Colloway Clump which was the scene of many UFO sightings over the years. Dawn was the first to see Kevin Goodman and his colleague Colin Rees walking through the High St (on their way to grab some chips!We then made our way to Cradle Hill where we stood chatting to Kevin and Colin who were sat down on the grass. Kevin giving Dawn a hug -after bringing Colin’s attention to the fact that he was being overrun by ants, we continued talking, until a representative turned up and unlocked the gates which ledto the top of Cradle Hill-a nice gesture by the Army. David Taylor from the West Midland s turned up and brought a copy of Volume 2, he is a very nice man and it was good to see him and his wife, small in stature but a giant in kindness and experience within the UFO/paranormal field. 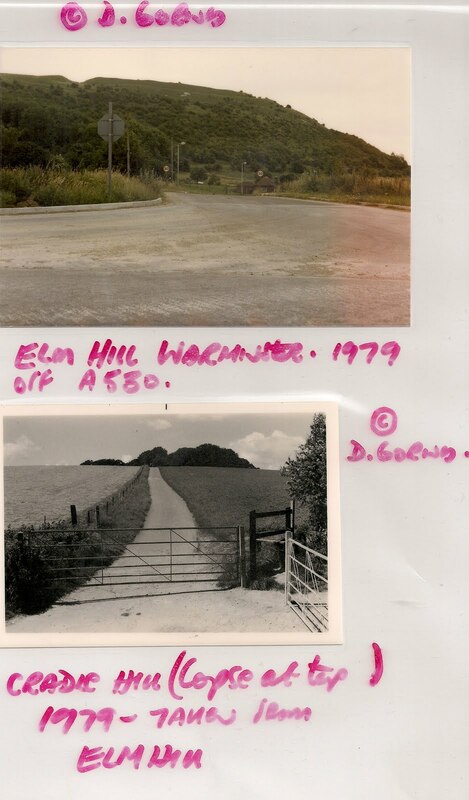 orchestrating a number of hoaxes in the area during the 1970's and showed him a photo of a 'device' found in the area, which he denied responsibilty. We also met Trevor Owen a friendly quite young man who had written his own book entitled 'UFOs Close encounters,MIB's Precognition, Mind reading,Ghosts and Trevor' no mean feat when you consider just how much work goes into projects like this! Trevor was kind enought to furnish us with one of his books. We wish him well for the future and promised to record his UFO sighting that took place in 1977 in a future volume of Haunted Skies. After talking to various people including John Rimmer of MAGONIA fame we made our way on to the top of Cradle Hill accompanied by Corrina. Note the change in gates! but didnt find anything. Corrina and Dawn both felt light tugs on their arms, during our stay. Looking back on the days events we are so glad that we bothered to attend the 'Annual re-union' organised by Kevin Goodman, it was an enjoyable day out, with rich conversation topped off by the heady intoxication of where we were, no wonder Ron Neville who lives locally still finds something magical about this place and he's been walking up here for now 30 years! A trip to Devon and talk on British UFOs given by John Hanson co-author of the ‘Haunted Skies’ series, and Kevin Goodman author of UFO over Warminster-Cradle of Contact ‘published by CFZ Press held at their Weird Weekend Woolsery near Bideford, North Devon. CFZ is believed to be the largest professional, scientific and full-time organisation in the world dedicated to cryptozoology - the study of unknown animals and has carried out an unparalleled program of research and investigation all over the world since 1992. They are a non-profit and non salaried making organisation, any monies earned or donated are used to facilitate further research. It is run from Myrtle Cottage, Woolsery, Bideford, North Devon, and incorporates CFZ Press. 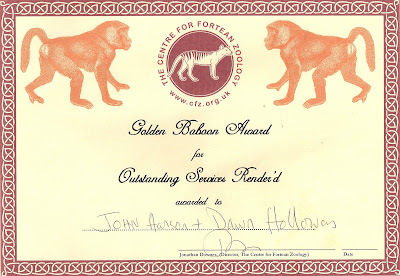 The Publisher Jon Downes has published over 80 books from authors such as Nick Redfern, and Andy Roberts and is now our publisher, they describe the Weird Weekend as, “the largest yearly gathering of mystery animal investigators in the English-speaking world. Having run unbroken for seven years, the convention attracts speakers and visitors from all over the world and showcases the findings of strange phenomena investigators”. Knowing that our colleague, Kevin Goodman, UFO researcher and author of Warminster Cradle of Contact, was talking at the event (he has been keeping the ‘Warminster flame’ burning, for some years, with organised sky watches held on Cradle Hill) we invited him to stay over at our house on the Friday night, so we could travel down together to Devon on the Saturday morning. One may presume that, after many years of intensive research into the UFO subject, we may have been inclined to have discussed all manner of other World pressing affairs, but I am pleased to say that the conversation was soon alive with the vibrancies of long forgotten UFO sightings plucked out of our memories assisted by a glass of heady red wine.After Dawn (who had been working late) joined us, we sat down and enjoyed even more intoxicating accounts of life during the halcyon days of the 1970s, when Kevin and Arthur Shuttlewood stood on the slopes of the hill waiting for a UFO to appear. and young David Braund-Phillips - ‘a wizard of computer technology’ - who weaved his magic, once again, to ensure that everything went smoothly during the Power Point presentation. of Space-link Books, had set up shop and was chatting to another veteran UFO researcher, Sidney Henley, who also had his book store set up. There was also a table set up by a representative of Fortean Times - presumably the same young man that came over, later, and spoke to us about how Haunted Skies had come to fruition. At the end of the room there was ‘Billy’ the dog, perched on the table; next to that were a group of young children, being entertained by Dave Curtis and his family. (This didn’t quite beat the performance of a certain spaniel dog that sat in the audience on his owners lap for some hours listening to the lectured given on the 30th Anniversary of the Rendlesham Forest Incident at Woodbridge Community Hall which was attended byLarry Warren, Peter Robins, Brenda Butler, Dot Street Jim Penniston and John Burroughs! That was weird….)! After chatting to Dave, who spoke again about the triangular-shaped UFO he saw gliding through the sky, while on the way to the Hall last year, which earned some publicity in the local newspaper, we listened in on Kevin’s speech. On the Sunday morning, after putting up a tent for Kevin, we made our way to the Hall at approximately 12.30pm, and sat down in the bar, next to the canteen, and discussed what I was going to talk about, as I’m never sure myself until I actually stand on the floor and start talking! I don’t like set routines, as they can be boring, in my opinion, especially if the same old speech is given, time and time again. UFO sighted over the Avebury Stones Wiltshire - I began by telling the audience how Dawn and I had struggled to get the Haunted Skies books published and of the trials and tribulations we had faced over the years since we had started in 1995.My talk included a reference to John Andrews a special Constable from the Warwickshire Police who was returning from a business trip late one evening when he saw a strange object descend over the stones at Avebury and appear to land. He decided not to stop and continued on his journey. As he neared Moreton-in –the- Marsh he became aware that he was being followed by another vehicle. After stopping at the traffic lights in the village he was approached by a man with an American accent who got out of a left hand vehicle which was showing a flashing green light on the top parked behind him. The man who was dressed as security officer wearing a white shirt and black tie asked John if he had seen anything strange. 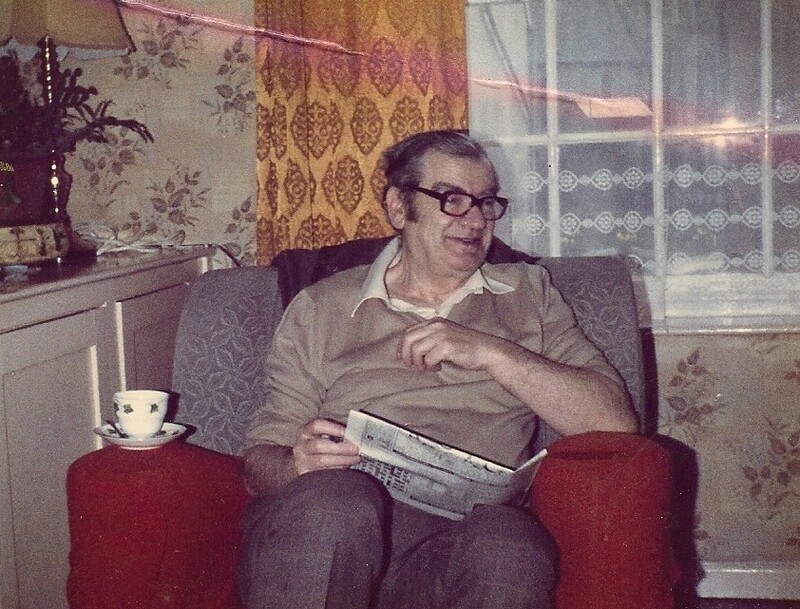 John told him about the incident he had witnessed in Avebury and was then threatened to keep quite after John admitted he had seen the UFO. 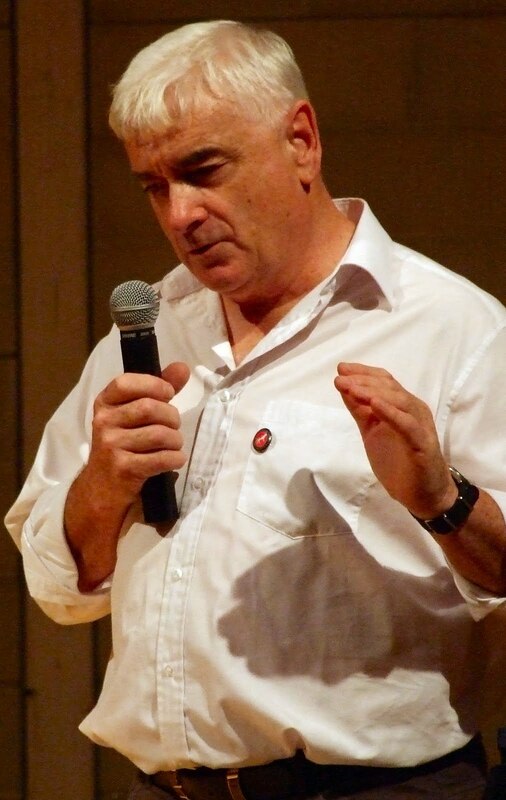 I then spoke about the strange anomalies both seen and captured on camera at Rendlesham Forest and showed the audience several of the stones we had collected, along with a number of early UFO magazines and various photographs. 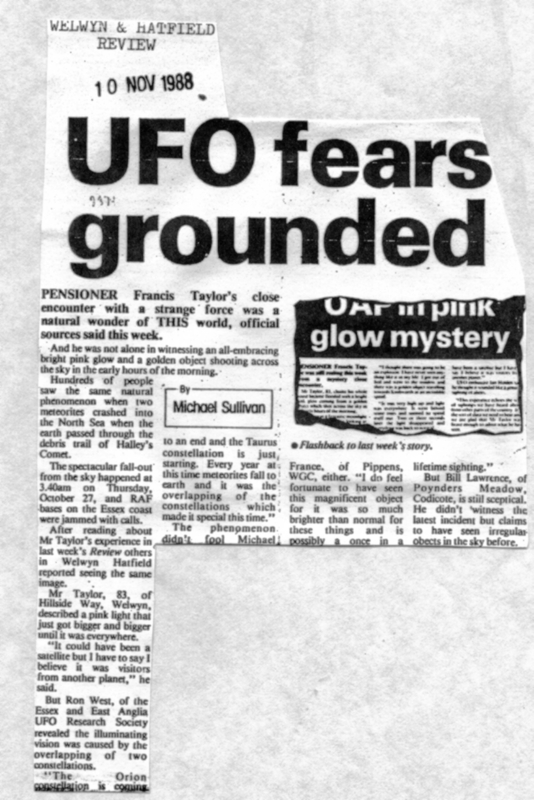 - I then outlined a remarkable sighting of a UFO from retired RAF OfficerStan Hubbard who witnessed along with others a strange object ‘like a flying discus’ rocking from side to side over the runway at RAF Farnborough in 1950” Stan was to witness another sighting on the 5th of September 1950 and was later interviewed by members of the Scientific Intelligence Dep’t. Many years later their report was unearthed from MOD files when it was discovered the official explanation was hallucinations or misidentifications! - Incredible but true! 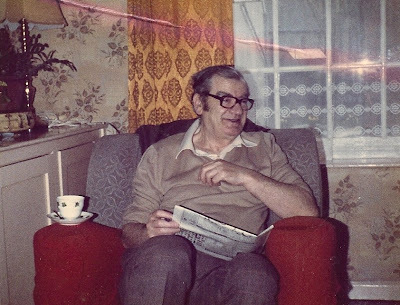 I then spoke about ex RAF Officer James Salandin and his UFO sighting in 1954 while over Southend which was later brought to the attention of Prince Philip. 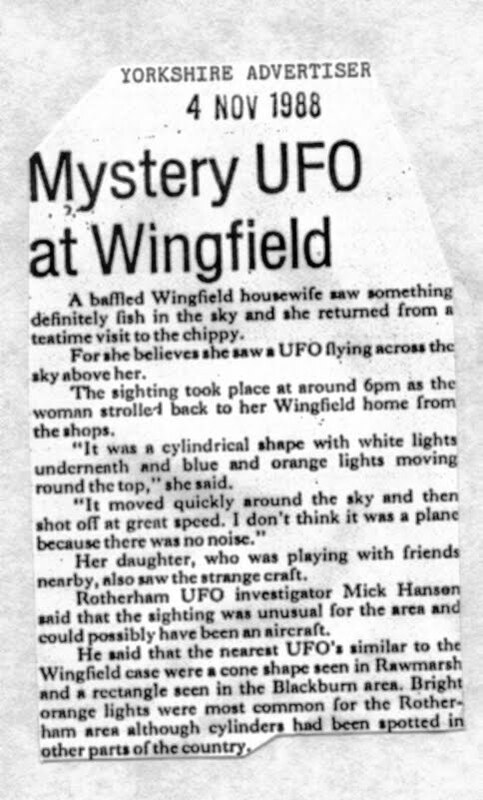 UFO over Northampton October 1994 - I was going to also discuss an incident that had occurred in 1994 when a Police Officer sighted a UFO over the lakes while fishing. The officer later reported that he had been threatened and that his wife had been followed by mysterious strangers. The threats included open ones down a telephone. The officer also told me that he had been harassed by other Officers and that he was the victim of at least three hit and run car accidents. The registration plates had not yet been used! The Officer also received medical treatment for severe headaches that culminated in a scan at the John Radcliffe Hospital in Oxford when itwas established he had some scars on his brain.The surgeon asked him had he ever had an operation before which he hadn’t. 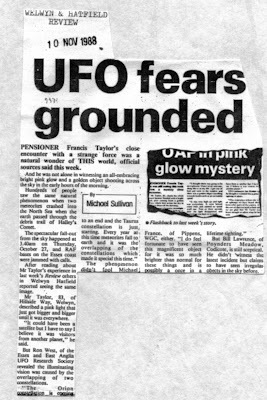 If you took this case on its individual merits it may appear difficult to believe, but this was not the first or last time we were too heard of medical problems apparently stemming from a UFO encounter. I decided against running the tape interview because of the attitude of one young man I had discussed the case with initially. I felt I could not trust him to keep what I had told him as confidential in nature, and didn’t want him listening to the interview. 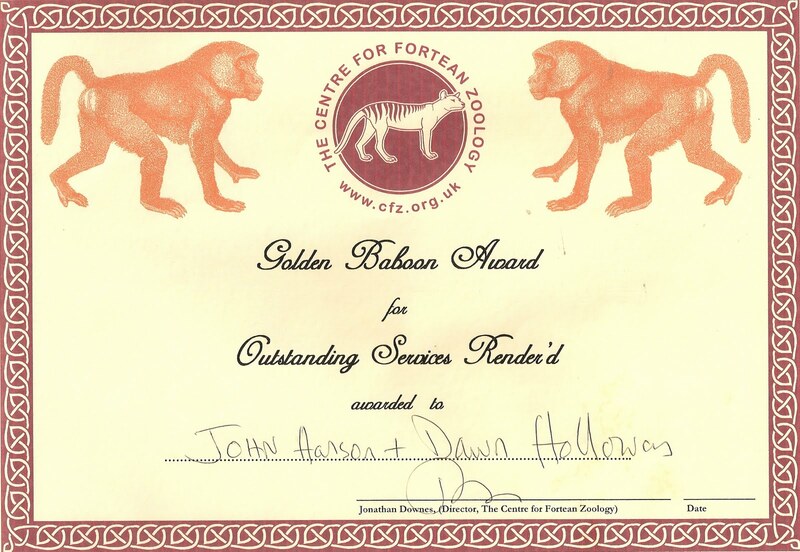 After the talk and the winding up of the day’s events, when Dawn and I were surprised to be given one of the CFZ Golden Monkey awards, with accompanying certificate, we made our way to the Farmers Arms Public House, where we sat down and discussed the weekend events with Brenda and Mick, who had also made the journey there. We then made our way back to the caravan where Dawn prepared a delicious meal, followed by an equally as delicious Aunt Bessie Lemon Meringue pie (purchased by myself) It was found most palatable except for the fact that the pastry crust seemed very soft. An examination of the said instructions revealed (after we had eaten it) that it should have been cooked! We then retired to bed after spending a short time gazing up into a beautiful night sky, with the Milky Way clearly defined, feeling more than satisfied with how the weekend had gone - especially after Kevin had been promised, by Jon, that UFO over Warminster and other books were going to be republished. On the Monday morning we packed up and sat having a cup of coffee whilethe tranquillity of every day ‘camping life’ began with a game of cricket and the squeals of children excited to be on holiday, A lady from a nearby camper van came over and asked us cordially how the holiday was going when we told her the reason for the visit she remarked how weird we were! So another CFZ Weird Weekend has come and gone. This was our second visit and we certainly enjoyed it - Long may it live as a family affair, because this is what makes it so enjoyable. 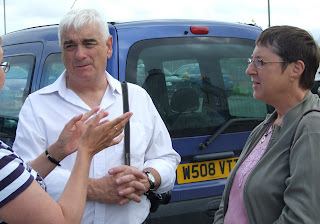 Well done to Jon Downes, and his family, for putting it all together, and thank you Kevin for what we now perceive to be the start of a warm friendship. We look forward to 2012. 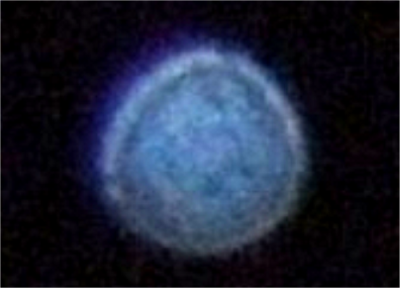 I wondered what in earth this was?